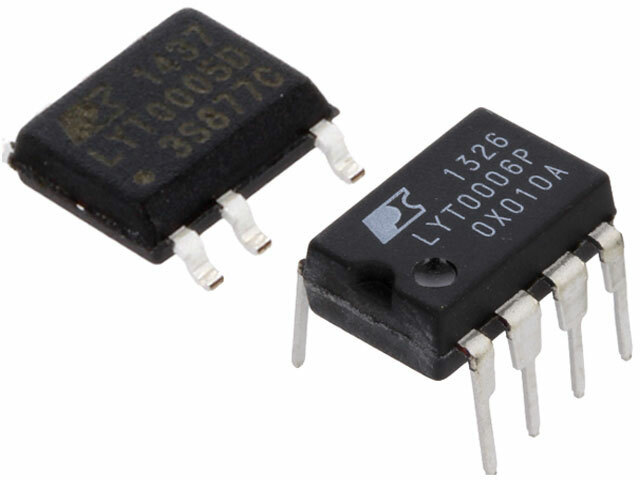 TME’s offer has been enriched by integrated, uninsulated LED drivers from POWER INTEGRATIONS. A single case contains i.a. : a controller, an oscillator, a thermal protection, a driver, and a MOSFET switching transistor, and only a limited number of external components is required for obtaining a target setup. Due to that, the LYTSwitch-0 series drivers are a perfect fit for economical LED lighting solutions, in particular for LED bulbs. The circuits do not require any separate power source or transformers. operating temperature (structure) of -40°C - 150°C.